Lloyds Estate Agents Dartford are experts in property sales & rentals. We pride ourselves on a first class professional service with customer satisfaction at the forefront of our mind set. To build on our transparency, we offer every client the opportunity to leave honest feedback on allagents.co.uk giving you, the end user the opportunity to not just take our word for it, but to see it first hand, from our clients, the ones who count! With over 25 years’ experience within the property sector and over 10 years local knowledge, we are primly placed to assist you in all your property related matters. Located on The Brent at the top of East Hill, our newly refurbished warehouse styled office is warm & welcoming offering fresh coffee daily. Relaxed dress codes, flexible working hours & a no nonsense gargon approach makes for a refreshing alternative to the “traditional” agent. A modern approach, highly trained property professionals & levels of honesty you will be pleased to find. Our company ethos is very simple – “To build our business based upon referrals” without your honest feedback, this aim cannot be achieved. Pop in for a coffee, use our instant online valuation tool or call us on 01322 221 101 – We look forward to hearing from you. The inspiration and name behind Lloyds Estate Agents was created in loving memory of Steven R Lloyd, a dear and close friend to the director. Steven Lloyd sadly passed away in 2015 from a progressive brain tumour leaving behind his wife and two beautiful daughters. 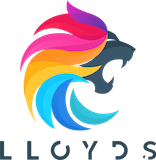 Lloyds Estate Agents pledges to donate a percentage of profits on a yearly basis to Brain Tumour UK.